Blocked drains are never very pleasant, starting with bad smells, slow draining sinks, gurgling toilets and before you know it, the toilet is blocked and sewage is everywhere. We understand that when your toilet or drain is blocked, it is important for you to get it unblocked as quickly as possible, so we always aim to get to you as quick as we can. You might think of using drain rods or chemicals to clear the blockage, but a drain or toilet can be blocked for a range of reasons, and you might actually make it worse. If you need us to come to your property to clear a blocked drain, blocked toilet, blocked sink, shower or bath, please call 0800 357 9371 or email info@draindetectives.co.uk. What are the early warning signs you have a blocked drain? If water drains slowly, water levels are too high or too low, or water comes up in a sink or bath, you have a blocked drain. 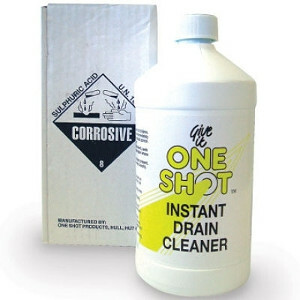 Foul smells are a real giveaway for a blocked drain. The bad smell may start before any visual symptoms emerge. Unusual noises from drains, plug holes or toilet flushes are created by displaced trapped air because of a drain blockage. Why not clear blocked drains yourself? If you have good knowledge of the drainage system and the necessary equipment, then clearing your own blocked drain or toilet could well be a cheaper and quicker solution. Drain rods bought from a local DIY store are not the same as those used by engineers and are prone to coming apart in the drain, making your blocked drain ten times worse. We offer a fast response to clear blocked drains, sinks, showers or blocked toilets, 24 hrs a day, 365 days a year. Call 0800 357 9371 or email info@draindetectives.co.uk. What causes blocked drains or blocked toilets? There are only three things that should be flushed down your toilet: pee, poo and paper. Whose responsibility is it to clear blocked drains at your property? 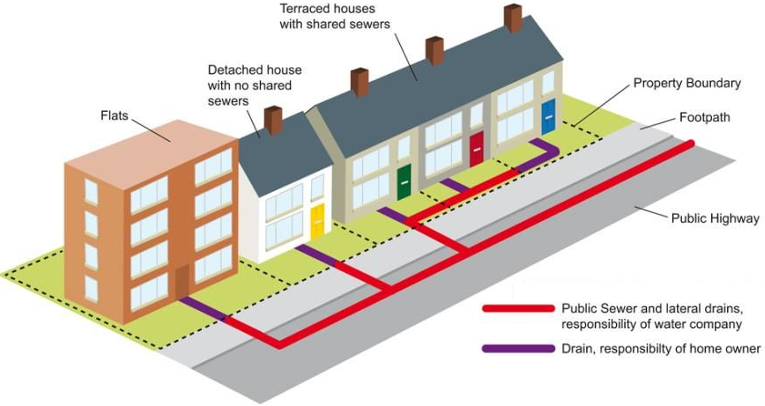 It is probably easier to say what drains are not your responsibility, rather than what drains are down to you. Any problems with drains off the boundary of your property, are up to your local water authority to clear. A blockage or repair in a drain that is shared with one of your neighbours is also up to the water authority to remedy, even if the drain is still on your property. Why does it matter who is responsible? If it is the responsibility of your local water authority, then they will clear blocked drains free of charge. Still confused? Call 0800 357 9371 for free advice. Why use Drain Detectives for your blocked drains? Someone will always answer the phone, so whatever your drain emergency, our local drainage engineers can come to your rescue. We are pleased to offer all of our customers a one month guarantee on drainage work when we have cleared their blocked drains. Drain Detectives aim to give the best value for money price for clearing blocked drains, with fixed prices offered wherever possible. Not sure where to start? Call our friendly office and a drain engineer will advise you on the best way to tackle your blocked drains. Whether you have a blocked drain in the garden of your terraced house or need a drain survey for a retail park or industrial estate, we can help. We are proud to be members of checkatrade. We ask all of our customers to leave reviews of our work when we clear blocked drains. Tree roots are probably the largest cause of drain blockages within UK sewer systems. Condensation on the outside of the pipe attracts nearby tree roots. 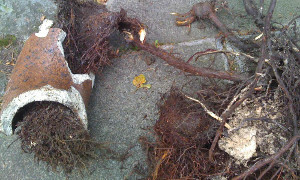 The tree roots then slowly, but surely, get into the drain via pipe joints, fractures and small cracks. Tree roots growing inside your drain cause solids, wipes etc to get caught and gradually build up leading to reduced flow and eventually a blocked drain. Not what you want. For FREE advice about tree roots in your drains, call 0800 357 9371 or email our office. What areas do we come out to clear blocked drains or blocked toilets? Our engineers clear blocked drains, blocked toilets, baths and sinks throughout the South East of England including Surrey, Kent, South London, West Sussex and East Sussex, from Ashford across to Bromley, Croydon over to Weybridge, and Clapham down to Lewes.